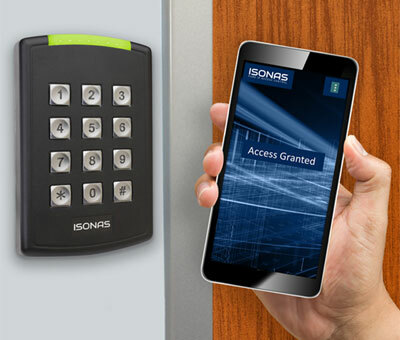 Isonas Access Control Systems – XS Applied Technologies Inc.
At XS Applied Technologies all our solutions come with a comprehensive level of support. At XS, we are committed to providing customers with complete peace of mind. Technical support is available for every system we deploy. Our certified technicians are the best resource to provide the most complete and comprehensive support for your Isonas access control system. With the support from XS and the purchase of an ISONAS extended hardware warranty will allows you to protect your investment for years to come. In the event you need support remotely we can assist. Our annual support agreement ensures you have access to tech support and allows you to experience direct support from our expert technical support team. What does the Support Agreement provide? Single Case Support: Our one-time support agreement provides technical support for a single case/issue. Our support team will remote into your system and work to trouble shoot your issues. Annual Support: Our annual support agreement provides technical support for a single site for a full year. Whether you have a question about adding new people or questions on connecting to new readers our technical support team will remote in and assist. After the initial 12-month hardware warranty expires, this extends protection to cover components, free of charge, that are defective for reasons other than miss-use, installation damage or natural disaster. Depending on your service agreement hardware installation costs may apply. What products are eligible for Annual Support and Extended Warranty? Do I get an added benefit if I purchase the extended warranty with my initial installation and purchase of ISONAS hardware? Extended warranty is only available at the time of purchase and is not renewable. Extended hardware warranty is available for one, two, three or five years after the initial manufacturer warranty period. I bought my readers at different times. Do I get credit for warranty remaining on some of my readers? No, extended warranty begins at the time of purchase of your hardware. Hardware on a site can have different warranty dates. Can I purchase Service without Extended Warranty, or Warranty without Service? Yes, you can purchase an annual support agreement without an extended warranty on your hardware and vice versa. If during trouble shooting, the hardware product is deemed the issue and, the product is out of warranty, the replacement cost is your responsibility. Is the Extended Warranty for all readers on my system? The extended warranty must be purchased for all readers on a particular access control system, and cannot be purchased for individual readers on a system. When does the annual support period begin? What is the original ISONAS factory warranty? ISONAS products have a factory warranty protecting against defects in materials and workmanship for 12 months from the date of original purchase. What are XS Applied Technologies technical support hours? What is not covered by the Support Agreement and Extended Warranty plan? Hardware and/or software connected to ISONAS products that are not manufactured by ISONAS, any wiring or networking equipment, and any computer or other hosting device not manufactured by ISONAS is not covered under the extended warranty or support agreements. Contact XS Applied Technologies for support of your existing or any new installation access control needs. 732-807-4449. I enjoy what you guys are usually up too. This type of clever work and exposure! Keep up the good works guys I’ve included you guys to my blogroll.